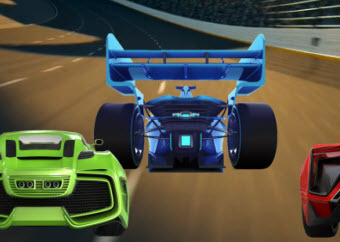 Play Properties of Operations Math Racing Game by quickly identifying the properties of equivalent expressions in order to have a chance at being first across the finish line. The multiple levels of the game allow for less and less time to answer the questions so you have to really be efficient in this suspense-filled game in order to not "crash" the car. Return from this Properties of Operations Math Racing Game to the Middle School Math Games, 6th Grade Math Games webpage, or to Math Play.